Parissa products are Manufactured in Canada using non toxic ingredients which are not tested on animals. The wax is sandwiched between 2 clear plastic sheets which, once warmed between the hands, can be carefully pulled apart to give 2 usable strips. The product is very easy to use, with no mess and no need to warm in a microwave, and the strips are a good size for covering large areas quickly. Also included with the strips is a small bottle of Azulene oil for use after waxing to remove any residue wax and leave the skin feeling soothed and moisturized. Currently available online from around $14 for a pack of 40 strips. Each sheet consists of two clear plastic strips with wax in between. The wax area is a good size for treating large areas quickly and efficiently, measuring 140mm x 55mm, but they can be cut down for smaller areas if required prior to use. I like the fact that the plastic is transparent because it means that it is easy to see the area that you are waxing​ clearly. The 8ml bottle of Azulene Oil provided is perfect for removing any residue wax left on the skin after treatment. It is blue and fragrance-free​ and leaves the skin with a lovely soft and smooth feel. It is simply applied by using a cotton wool pad and to gently wipe the area ​clean. If you run out of oil, any type of mineral, baby or vegetable oil will be equally effective. Below is a copy of the list of ingredients for both the strips and oil, to check for any known allergies. Do be sure to carry out a patch test following the instructions provided prior to any use, just to be sure that you have no adverse reactions, even if you are not allergic to any of the ingredients. Waxing is not suitable for use on skin treated with Retin A, Accutan. Alpha Hydroxy or Glycolic Acid products. You should not use this product on sunburned, irritated or otherwise compromised skin and it is not suitable for use on moles, warts or if you have varicose veins. Pulling the strip up away from skin, not keeping the skin taut or applying more than once on the same area can cause irritation, bruising or skin lifting. Make sure that you read all the instructions provided thoroughly prior to use, paying particular attention to precautions and warnings. Always carry out a skin test prior to use, on a small patch of the area to be treated, following usage instructions. Then wait for 24 hours after which, if no adverse reactions have occurred you may continue with the full treatment. 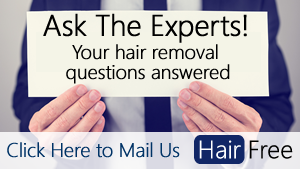 You should wait for 2 weeks before treating previously shaved areas, or until hair is at least 5mm in length. Skin should not be cleaned prior to treatment. Warm the product between your hands until the wax is soft and pliable. Carefully separate two of the strips by pulling gently apart. Take a strip and place over the hair to be removed and smooth down two or three times in the direction of hair growth (so for legs, top to bottom). Hold the skin as taut as possible with your spare hand​. Make sure not to pull strip up away from the skin at a 90 degree angle, but parallel to the skin, as close as possible to it. Pull quickly and firmly in one action, pulling slowly will be ineffective​. Clean the skin or any residue wax with the Azulene oil provided, on a cotton pad or similar. I tested this product on my legs and found it very easy to use and effective at removing the hair. ​I did find that it left wax residue, but the oil provided was good for clearing it, and left my skin feeling lovely and soft. It was easier to get the wax evenly warmed and softened quickly with the hairdryer and was good for re-warming before applying for the second time to make it retain its stickiness. ​In my experience cold wax strips are never as effective as the warm wax, cloth strip kits but they are so much more convenient and easy to use anywhere, and this product is as good as any that I have tried. One of the benefits of waxing which appeals to many people is that it is pretty easy to do at home (depending on the treatment area) at your own convenience, without needing to make costly visits to a salon and bare all to a stranger. It can be a cost effective and efficient method for hair removal, providing good results that can last for several weeks. The results of waxing last longer than other popular methods such as shaving and depilatory creams, which only remove hair at the skin's surface. Although waxing is painful, it doesn't require use of the harsh chemicals used in depilatory creams, and the pain becomes much easier over time, as the skin becomes used to the process its tolerance increases. ​There are ways to minimise pain while waxing and we have published a separate article with recommended products to relieve pain while waxing. Epilators also remove hair from the root and so give similarly lasting results, however waxing is a quicker for clearing large areas. There will inevitably be a level of pain as you are effectively ripping out the hair from the root. The pain level varies from person to person and some areas, such as underarm and bikini-line are more sensitive than others e.g. the legs. It is always a good idea to wax in the evening when you are not planning to go out, to give the skin time to calm down and for any redness/irritation to disappear overnight. There are products available to help reduce the pain experienced, and do bear in mind that the skin becomes more tolerant over time, with continued treatment. Why are there only 20 strips in the box? Each one has wax in between 2 clear strips. Once warmed between your hands they can be easily pulled apart to make 2 usable strips - 40 in all. Can the strips be washed? No, they are pre-waxed, ready to use strips that are discarded after use. The instructions state that you can use them a few times in one treatment session, but in practice, I found that twice was the most they were really effective for as they lose their stickiness. The first application is definitely the best. Do you need a microwave for these? No - just warm between your hands until the wax softens and becomes pliable. I read that some people use a hairdryer, so I tried it out and found it to be a good method and it was easier to get the wax nice and pliable. It was also good for re-warming the wax on the second strip that was waiting for a few minutes before use. Are they easy to use for a first time waxer? I have hairs growing from a mole, is this product effective for this? These strips are super easy to use, pretty efficient and cost effective. They can be used anywhere with no mess or fuss, great for travelling they take up next to no room in your case. They can be cut down to size for smaller areas and are a good size for covering large areas quickly. If you are in the market for cold wax ready to use strips I would happily recommend this product.